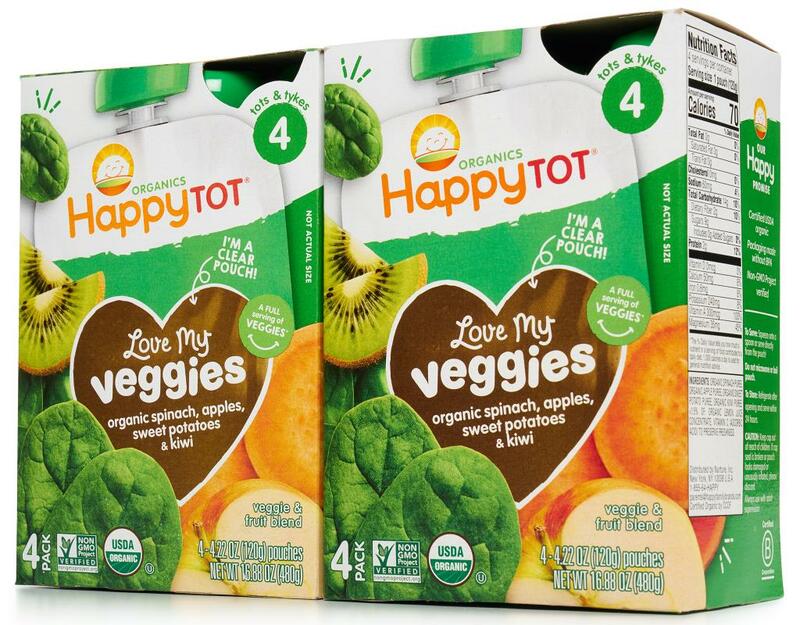 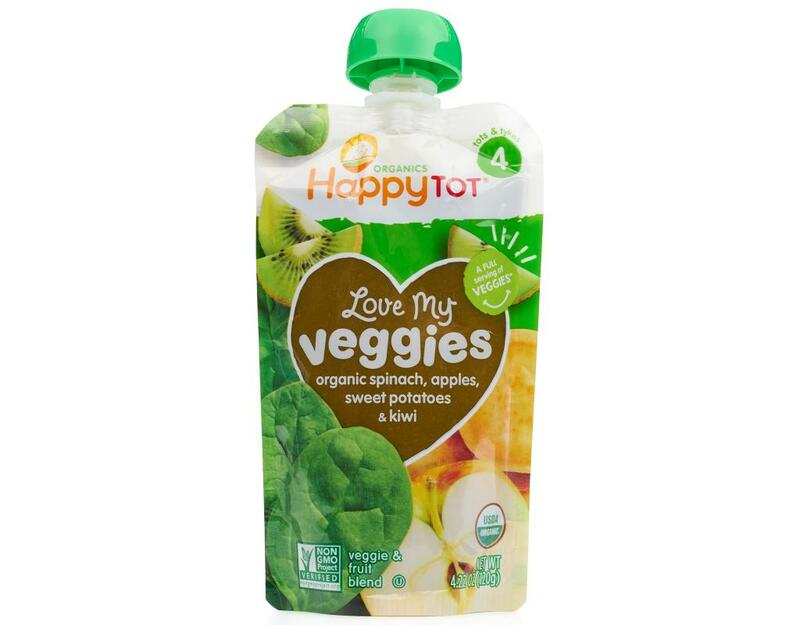 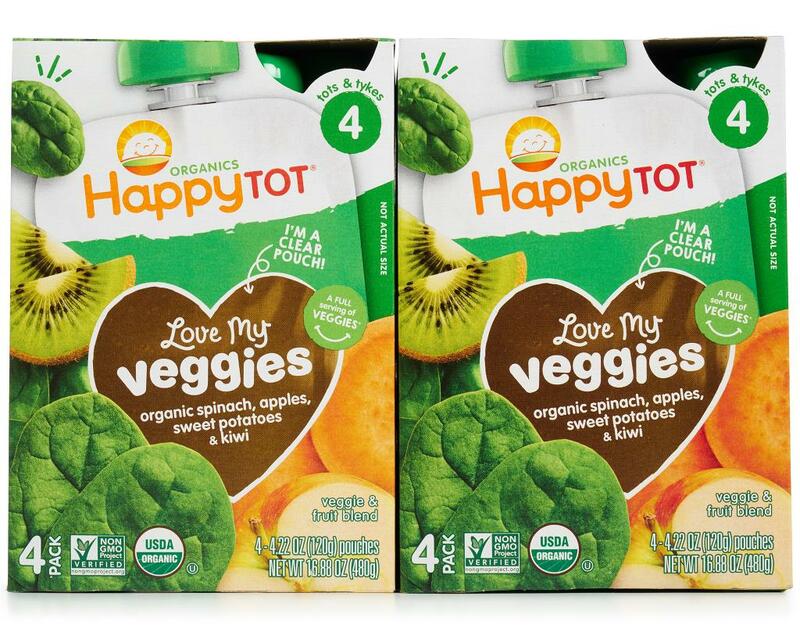 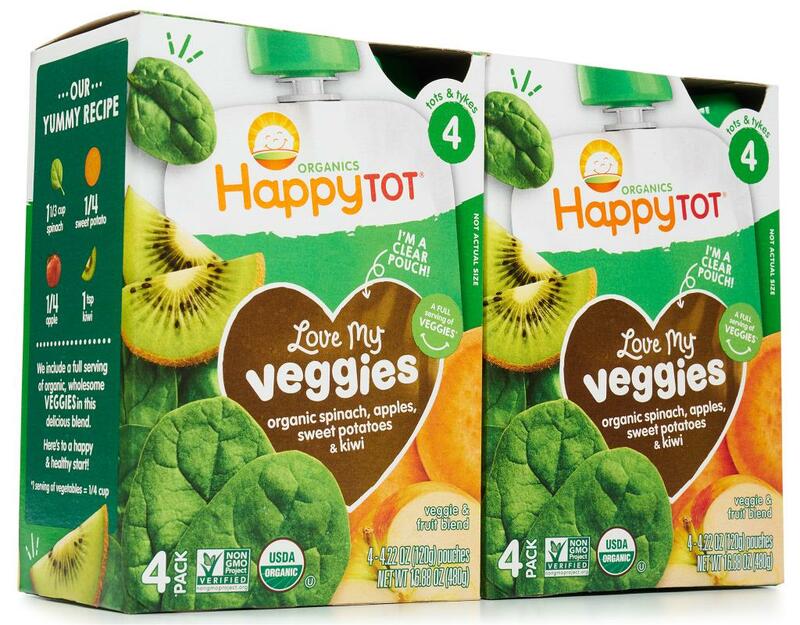 Happy Tots Love My Veggies pouches make it easier than ever for your tot to eat (and enjoy!) their vegetables. 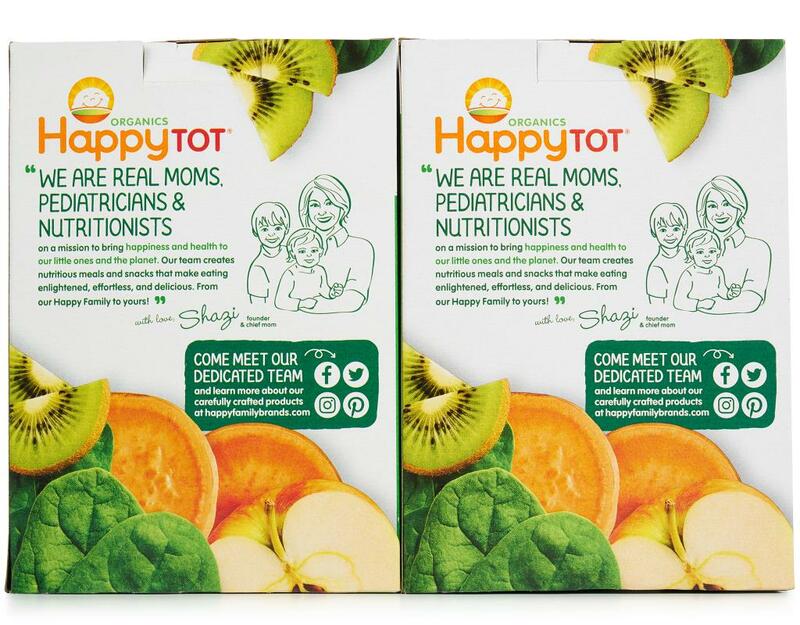 Containing a FULL serving of organic, wholesome veggies, plus yummy organic fruits, these flavorful snacks help your go-getter grow better. 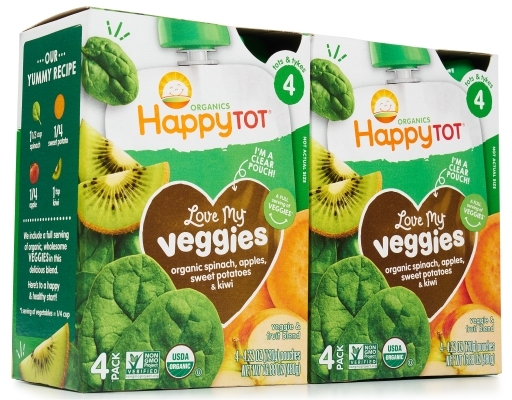 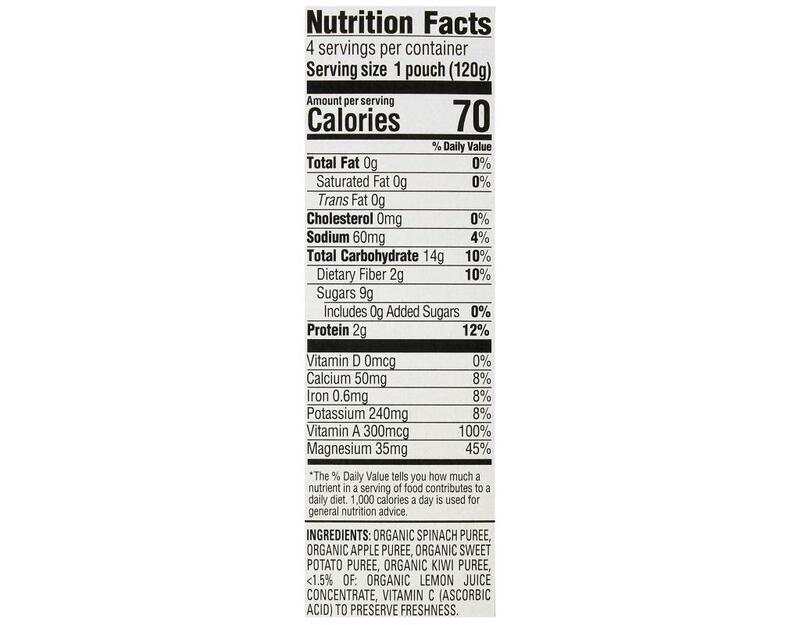 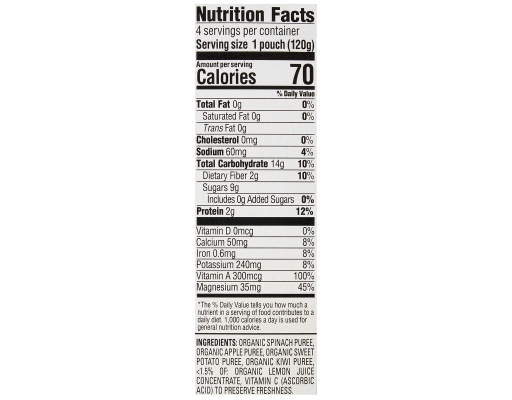 Spinach, Apple, Sweet Potato & Kiwi: This just-right combination of organic spinach, apple, sweet potato and kiwi provides a FULL serving of organic veggies! Until now, it's never been easier for your toddler to eat (and enjoy!) 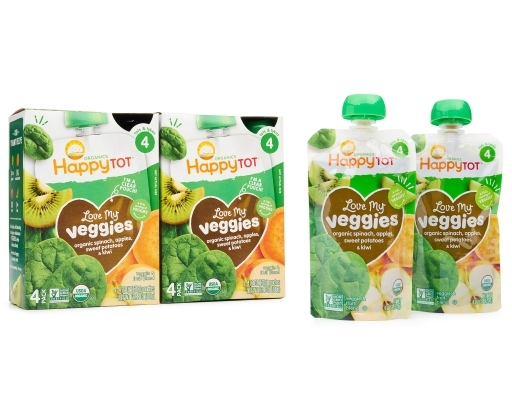 his veggies.